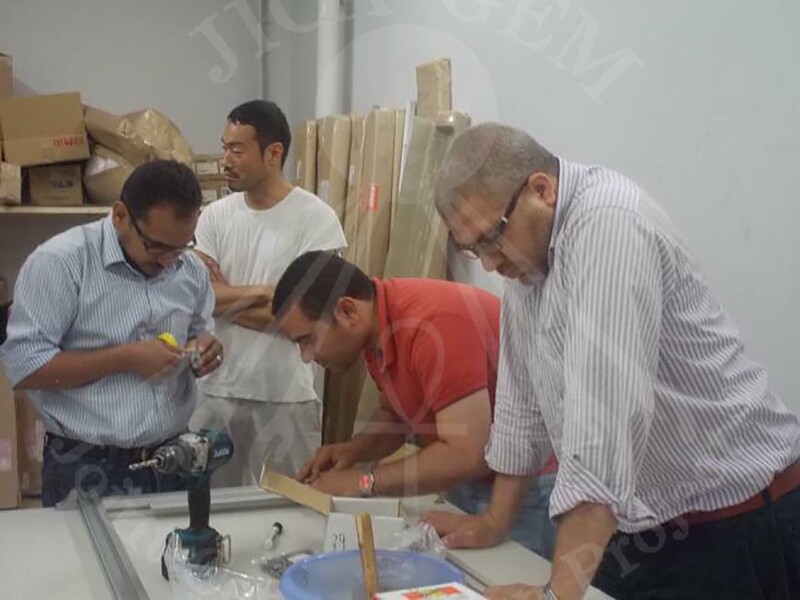 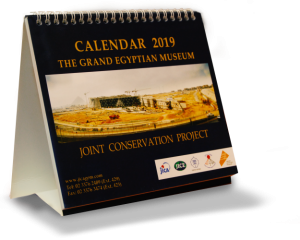 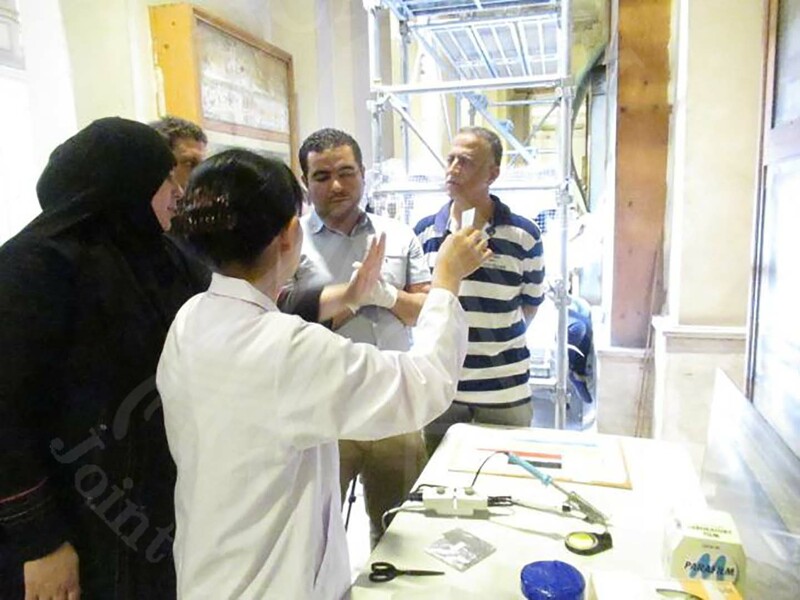 Ms. Masuda and Dr. Narita from the mural painting team arrived at the beginning of May to start preparing the target artifacts for transportation from the Egyptian Museum in Tahrir to the Grand Egyptian Museum Conservation Center with Mr. Mahmoud Helmy and Egyptian mural painting experts. 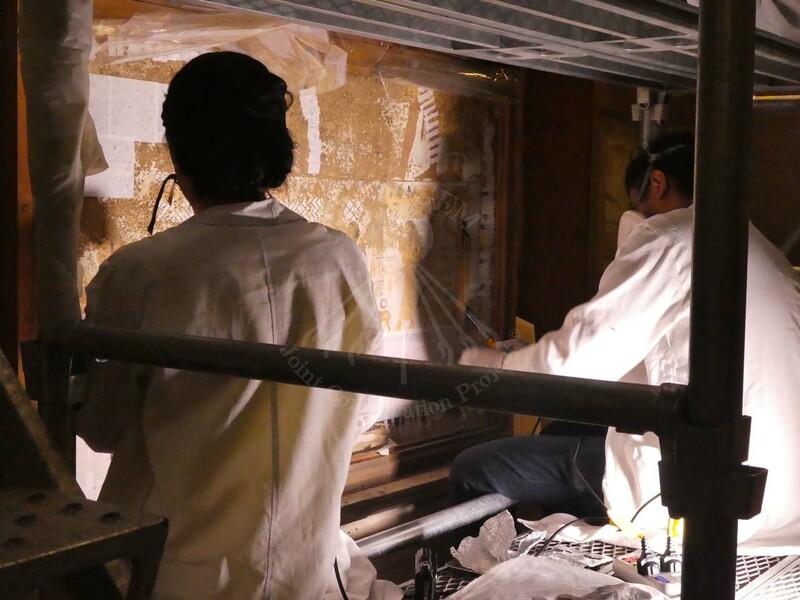 They started with applying Cyclododecane on the target artifacts with Japanese paper and doing first-aid work for the weak parts. 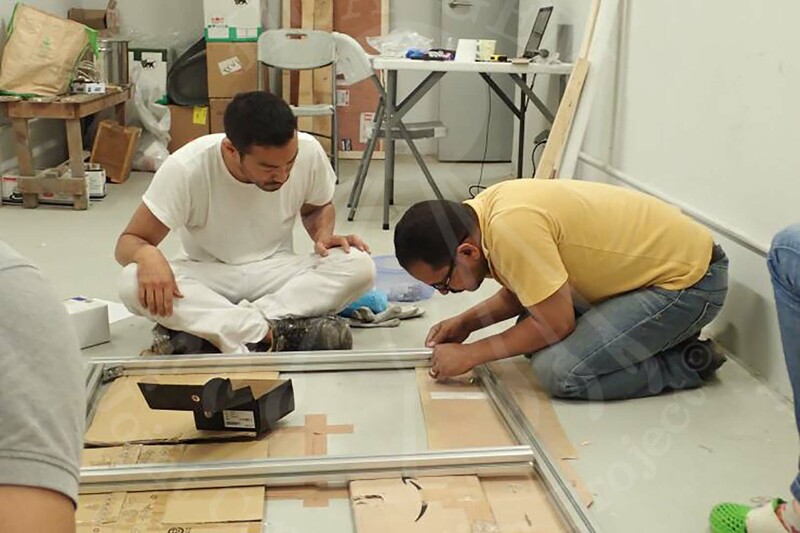 After finishing the first-aid work for the three target mural paintings, the transportation team started their work to get the mural paintings down to pack them and prepare them for safe transportation. 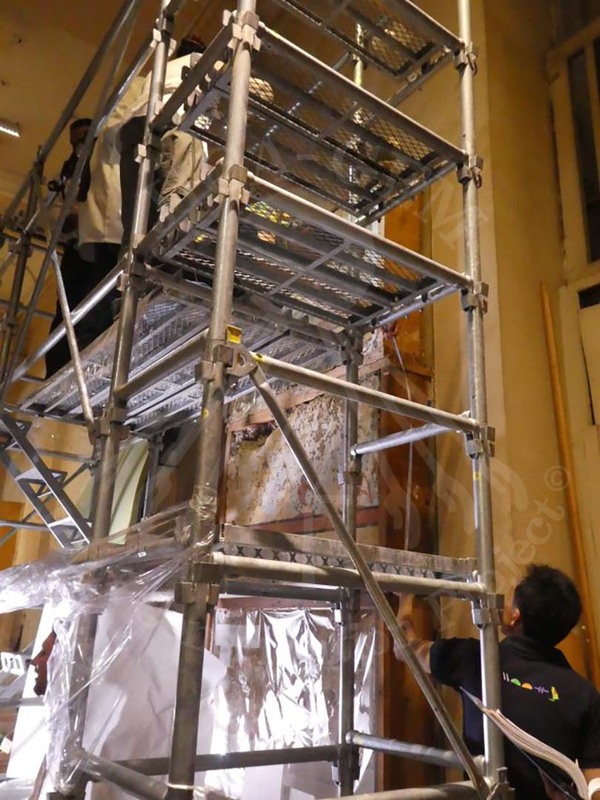 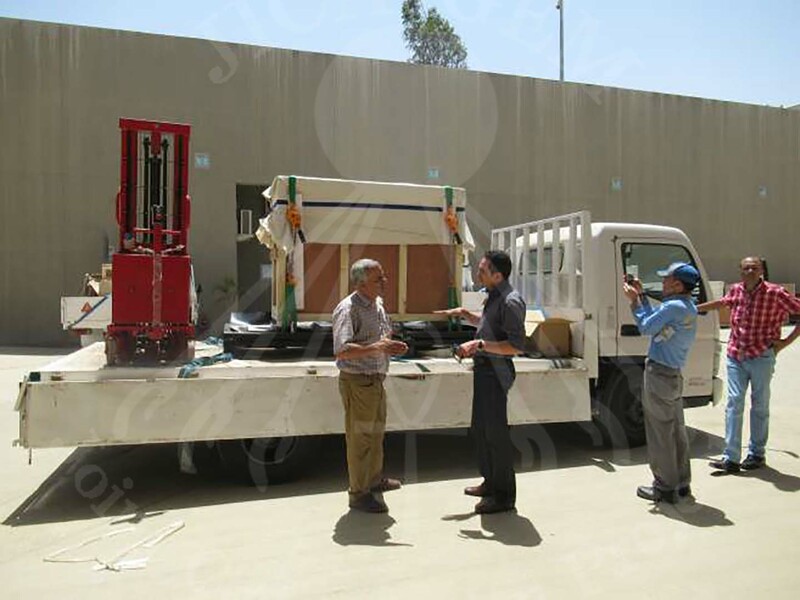 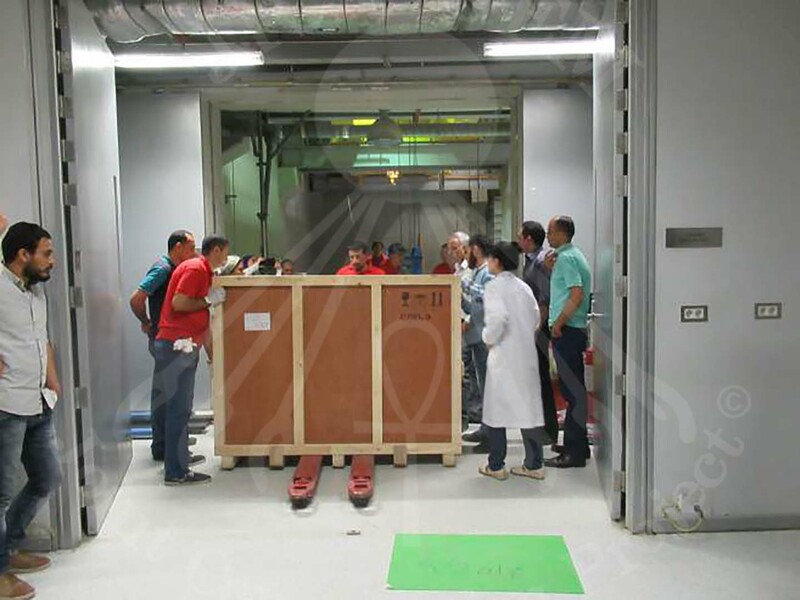 In May 31, mural paintings were transported safely to the Grand Egyptian Museum Conservation Center and were replaced on special bases designed by Ms. Masuda and Mr. Hashizume from mural painting team with assistance of Egyptian experts.